This dish looked so promising. Whilst it was bubbling away on the hob, it looked and smelt amazing (contrary to what the photo might make you think), and it was fun to make. The aroma filled the whole house, and I was very excited about eating my dinner. So, what a disappointment the actual eating of this was. It tasted basically of lager, of which there was far too much. Admittedly, I used jalapenos rather than chillis (which I admit may have been a mistake considering the title), but all I really believe this would have done is make the meal hotter. A hot meal does not make a tasty meal. There were also nowhere near enough vegetables. 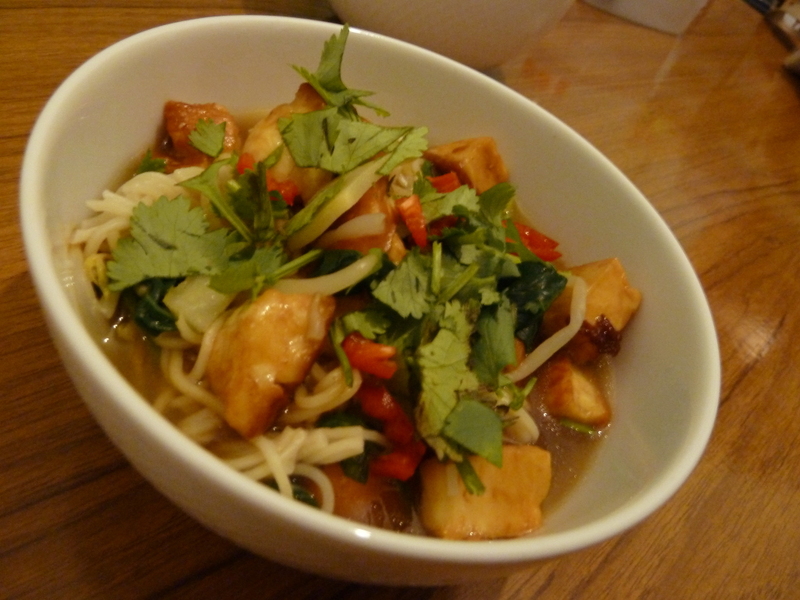 Obviously, I knew this when I was making it and could have added more, but it smelt so good I decided to try it without the veg – I get plenty most days so one meal with scant amounts isn’t going to hurt. Now, I admit, I could counteract most of these problems – I could use chillis instead of jalapenos, I could add more vegetables, and I could use less lager. But I’m still not convinced this would actually taste very exciting. 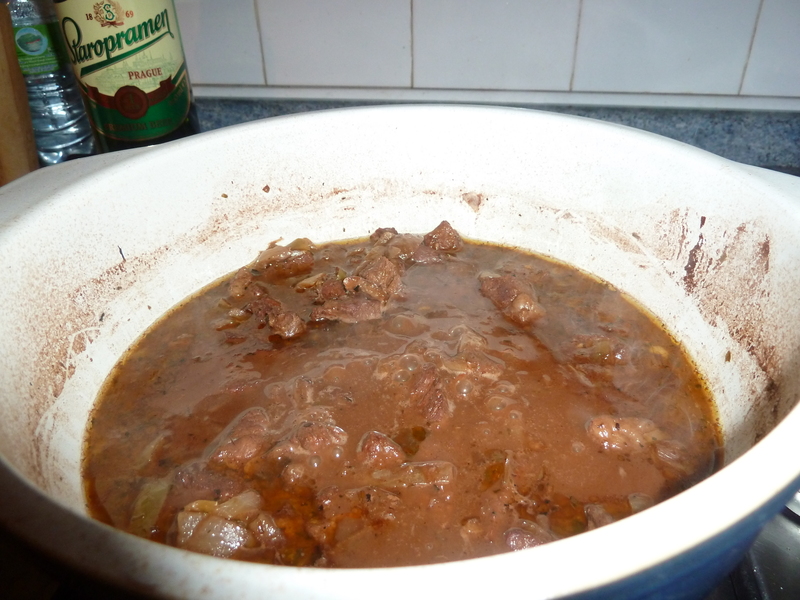 Considering it takes 2-3 hours to make (most of which is just waiting for the beef to tenderise in the casserole dish), it just doesn’t seem worth the effort of making it again, when it’s most likely going to be disappointing. A real shame. (right) samosa, (top) bhaji, (left) potato cakes. Some fun with Indian cooking: how authentic can we get it? 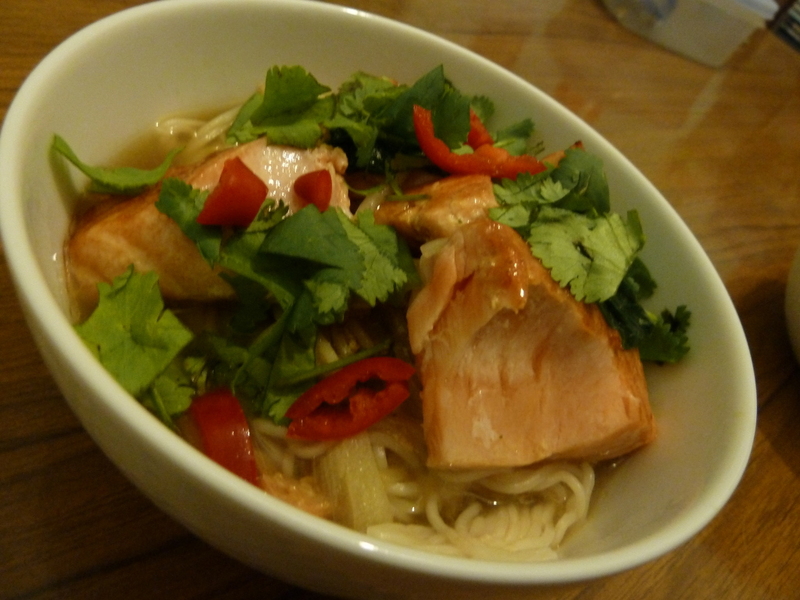 Turns out, when following a good recipe we can get quite authentic indeed. All of these are fried in fairly deep oil and are about as unhealthy as it gets. 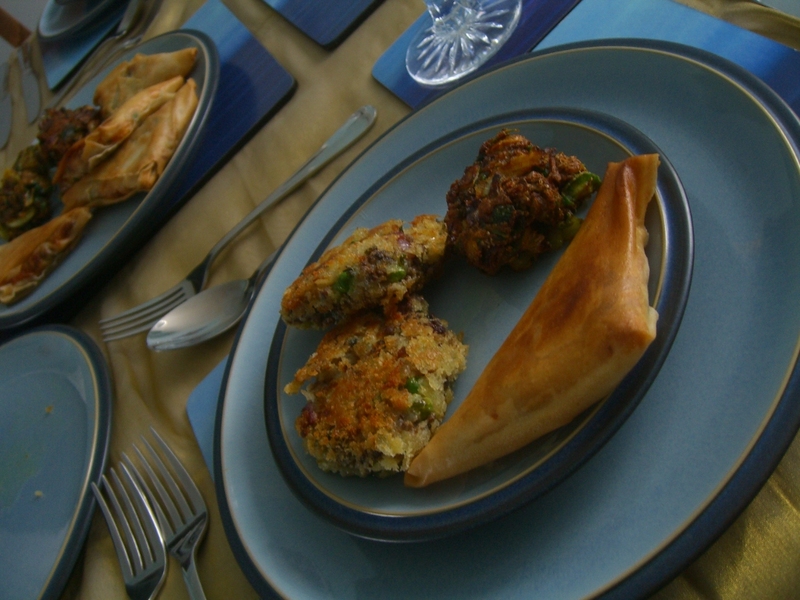 The samosas were awesome – we added butternut squash instead of potato and it worked amazingly. The bhajias were exactly as they taste in a restaurant – complete with that strange tangy taste that is unique to them. (Its the asafoetida, a bitter but very interesting spice). The potato cakes we were less thrilled by – they were just a bit plain. The samosas are made with spring roll pastry, which is cheap from eastern supermarkets and really easy to work with. You just make up whatever you want inside, wrap, and fry – what could be easier? We were really impressed with how the Bhajias turned out – its just a whole bunch of spices mixed in with enough flour to get them to stick together with some onions, then fried. Quite a messy procedure in practice but very much worth it! Recipe: “Indian” by Shezhad Husain and Rafi Fernandez. Bhjajias: page 14, Potato Cakes: page 23, Vegetable Samosas: page 34.